Any fans of ADK SRI RASCOL in the house?!!! How can you not be a fan of these guys who is dubbed as the Rap Machines. I personally became huge fan of the both of them when I first heard “Showkali” from Achcam Yenbadhu Madamayada. The way and the speed of the rapping portion of the song was just mind blowing. After many successful combination, ADK SRI RASCOL are all set to release their next song titled MAAYAVI. 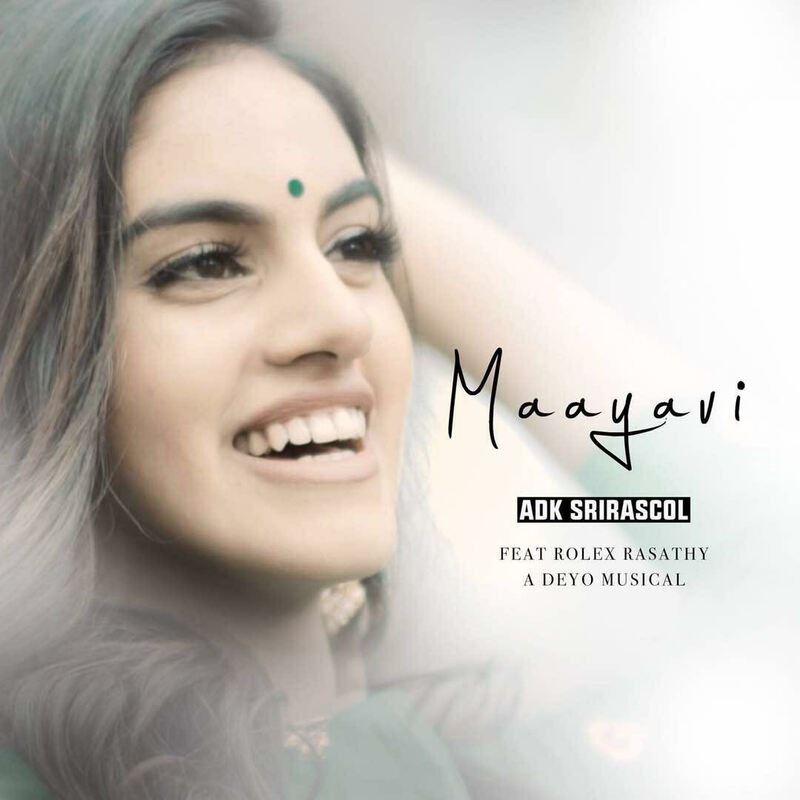 MAAYAVI is sung by ADK SRI RASCOL featuring Rolex Sarathy and the music is composed by Deyo Deluxshion from Kade Productionz. MAAYAVI is song which is woman centric themed. It is about a beautiful, bold elegant, strong TAMIL SUPER WOMAN and their willpower which is only comparable with the undefined universe. Just hearing this description gives me the chill to watch the music video. To bring this theme to life is going to be responsibility of Denojan (DDesign) & Photon Image who is entrusted with the direction of the music video. Crooning the camera works for the music video is helmed by Design Prods, Photon Image, DShan, T.Rated & Siva Prakash Photography. With such a talented team working onboard, you can expect an extremely quality music video for MAAYAVI. 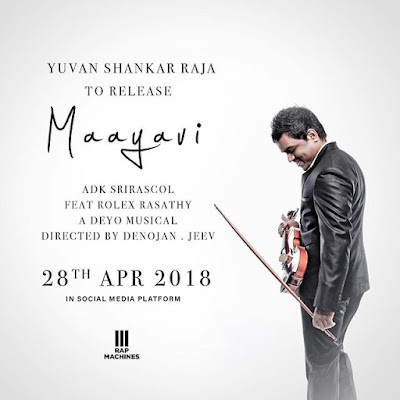 To emote the emotions of embedded in MAAYAVI, Baby Liyanah, Rameena Yathra, Soniya and Virushigaasrikumar, Shazna Ilham, Navz 47, Tharmika, Liviyaapillai and Vineshaapillai has all been casted for this music video. Making things even more amazing for MAAYAVI, the official music video is going to be launched by the one and only YUVAN SHANKAR RAJA on social media today (28th April 2018) sharp 7.00 p.m. If Yuvan is giving the thumbs up for the music video, you know it’s going to be good.